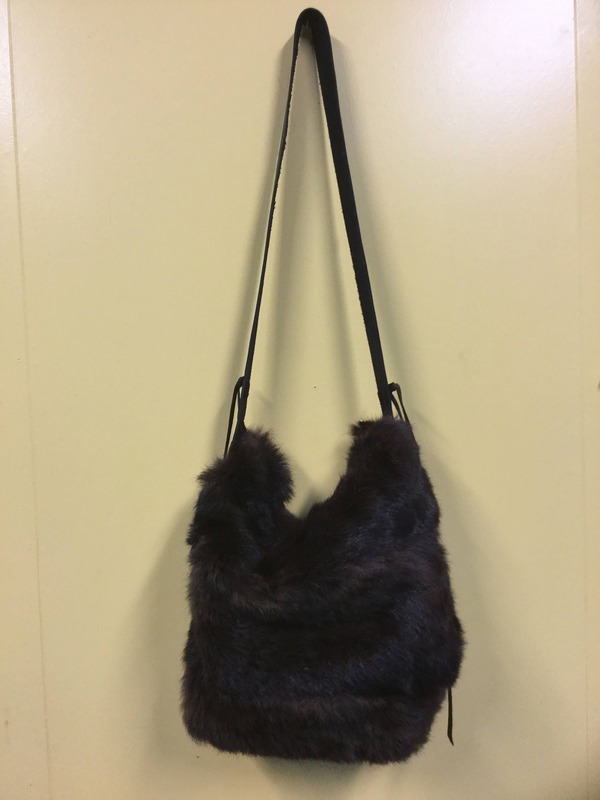 Fur Handbag with Cowhide Lacing. 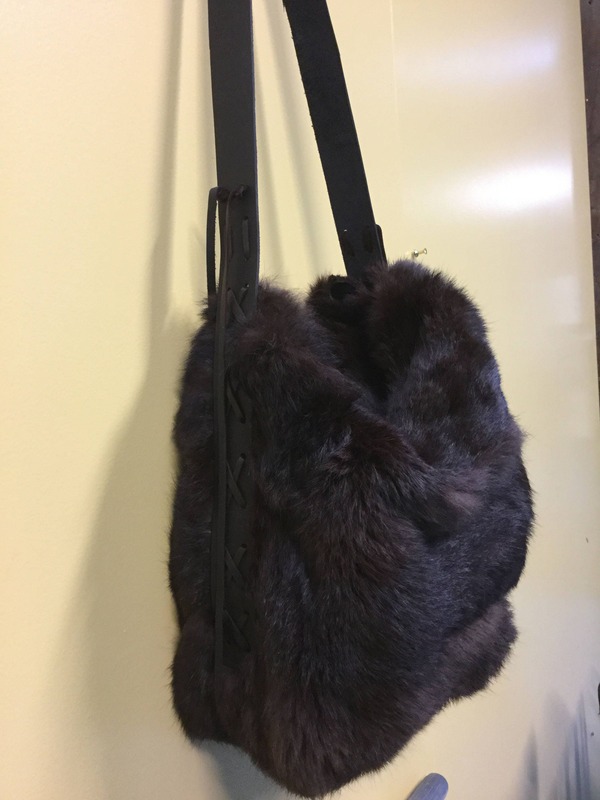 Stunning bag made by New Zealand designer Gina Tatom. 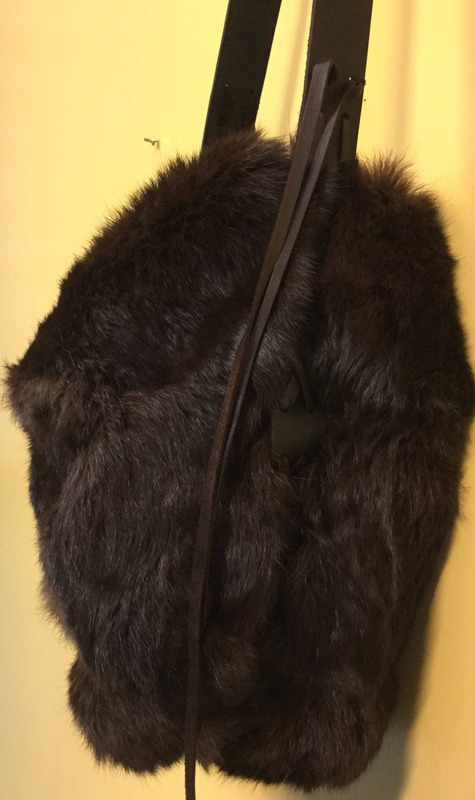 Made from fox fur and cowhide with silk lining and one magnetic closure. Simple and stunning. All of my bags carry a lifetime guarantee on stitching.